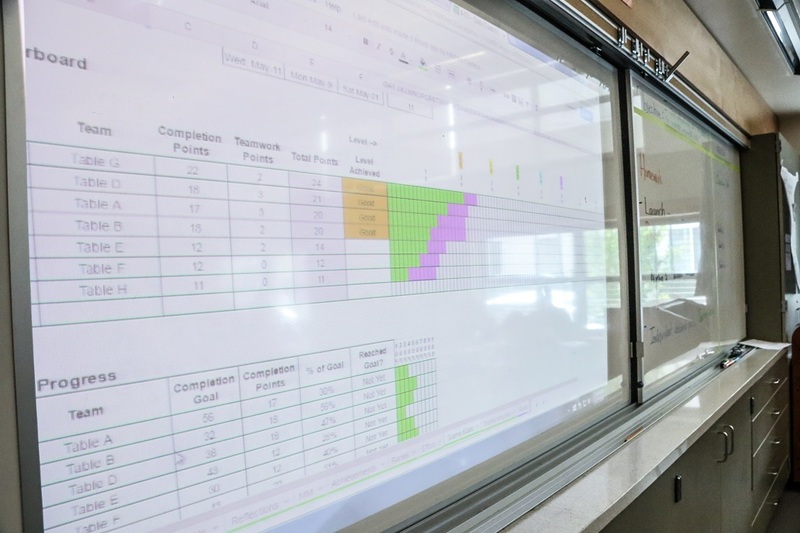 To keep students on pace, teachers create a class competition that runs daily and by “unit” (a period of time of their choosing, typically two weeks). This practice was adapted from research on cooperative learning at John Hopkins University, and iterated upon to work within the class and school culture. 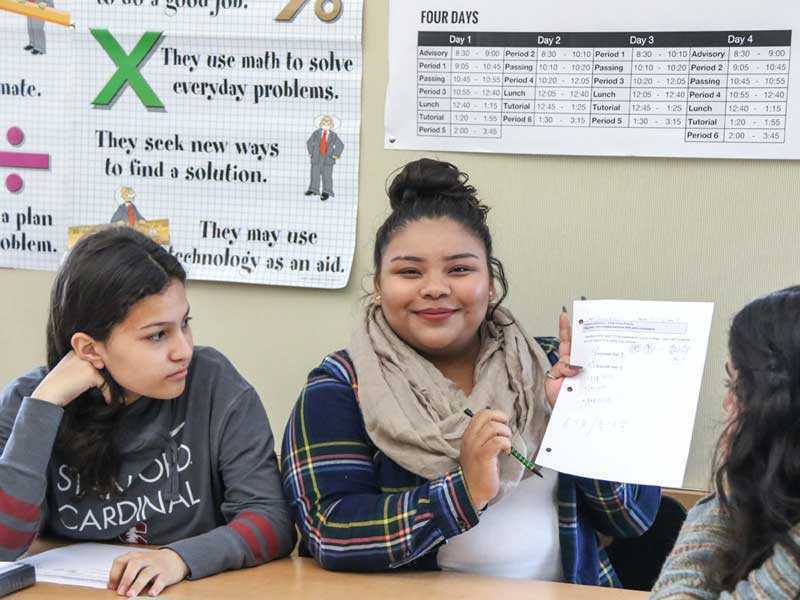 Teams earn points in two ways: task completion at or above the mastery mark of 70% and demonstrating teamwork practices like active listening, helping others, and explaining ideas. The teacher recognizes the practices in action and awards points to the team. 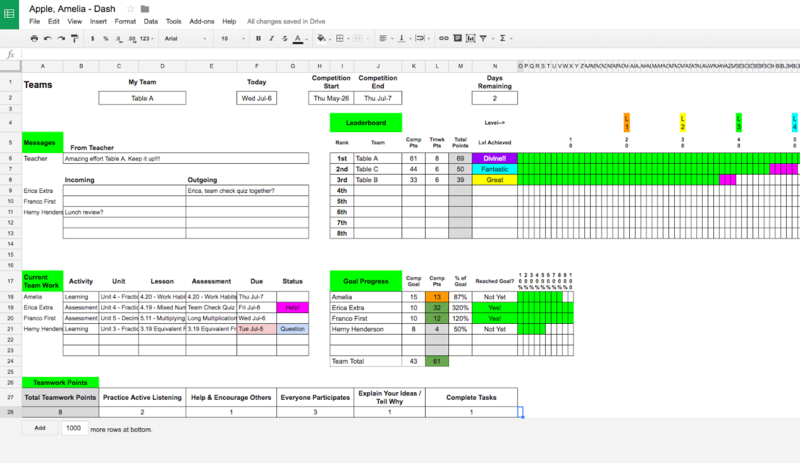 Scoring is tracked on a spreadsheet shared with the class throughout the entire unit period. A concurrent daily competition is also tracked in a similar manner, but with a different color. This ensures that teams that may be too far behind in the longer term competition can still “win the day.” Teams are also reshuffled throughout the year, creating more opportunities for everyone to win. Completes learning goals to help their team earn points in daily and periodic class competitions. Demonstrates teamwork practices to help their team earn points in daily and periodic class competitions. 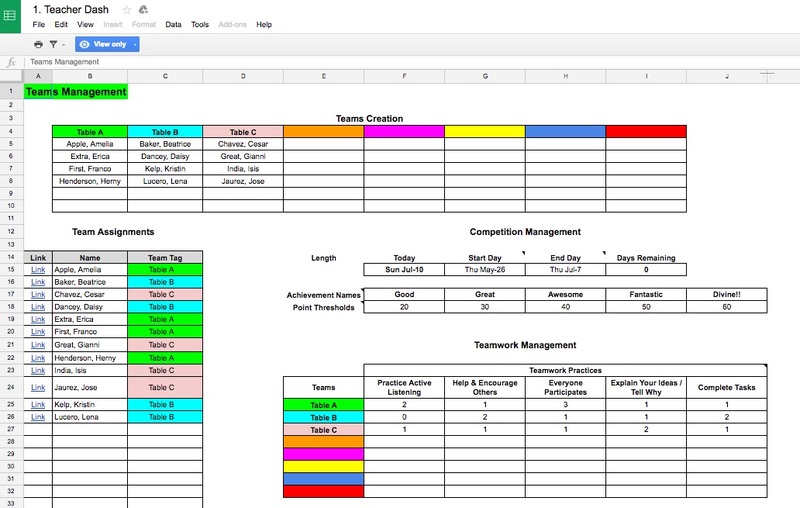 Reviews competition tracker to see how well their team is doing in the daily and periodic competitions. Sets timeline for periodic competitions. Awards points to teams for demonstrating mastery and teamwork practices. Provides progress updates to teams each day (ex. who is winning, who is close). Celebrate the team that “wins” each day by completing the most goals. Provides small prizes (ex. pens, pencil set, etc.) for teams that win the periodic competition. 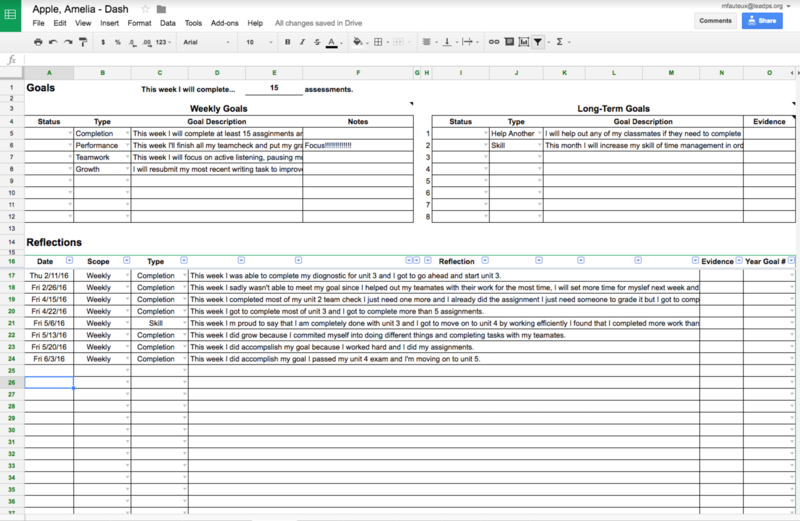 Tracks each team’s progress, instantly updating each time a student completes a goal. 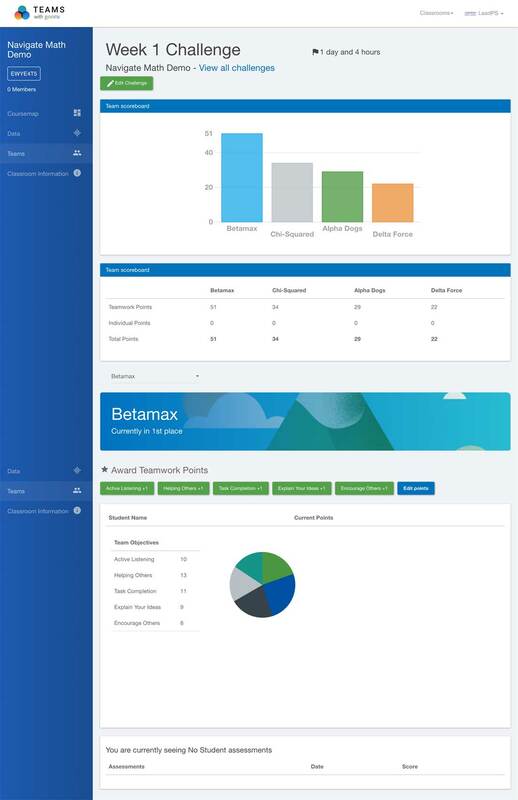 Provides easily-shared data so teams can see how they compare to the rest of the class each day.